Sell My House Fast in Charleston, SC! You Have Options When It’s Time To Sell! Charleston SC House Buyers is purchasing homes fast for GREAT prices in Charleston, South Carolina. With over 10 years of experience in the Charleston market, we have helped homeowners using all sorts of methods. For many, a direct offer was the solution they had been looking for! Let’s work together, and find out what’s right for you! Unexpected situations happen to everyone. There are many reasons people need to sell their house, and we will work with you through all of it! We will take the time to get to know you, your situation and do whatever we can to help! Are you going through a divorce? A fast sale for a great price will reduce the stress for everyone! Did you fall behind on your mortgage? (It happens to the best of us!) We can help you stop the banks from foreclosing on the property! Do you own a vacant or rundown property? You don’t have to continue paying property taxes on a house that isn’t being used! Are you the recipient of an inherited property? We can help you sell without having to sink money into it for a listing! Does the house have more repairs needed than you can afford? We love fixer-upper houses! Whatever the reason for selling your Charleston house, (even if it is just to avoid the lengthy listing process) we will make you a great offer for your property now! We Can Help You Save Time and Money When It’s Time To Sell! Listing isn’t your only option when selling a Charleston, SC house. For some properties, it can be a great option! However, for many others, a direct sale is a smarter choice. Listing your Charleston property can require repairs, cleaning, staging, and yard work to get the house ready for the MLS. If the house is run-down or if you need to move within a specific timeframe, you are much better off selling directly! When you list, there are no guarantees. Will the house sell? When? For how much? This can leave a lot up in the air and make it difficult to plan for the future. We want to help you reach your selling goals! We will buy your property as-is, so you can keep more money in your pocket! In addition to saving on repairs and cleaning, you will also not have to pay any commissions or closing costs! A fast sale will also end your monthly utility payments, homeowners insurance, and property tax obligation! This can potentially save you thousands of dollars! To get started, simply fill out the form below! We will be in touch right away to learn about your property and your selling goals! Or if you would like to talk to someone in our office to learn more about what we can offer you, call us today at (843) 553-5005! 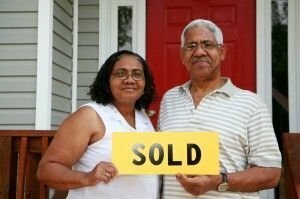 We buy houses in Charleston, Berkeley and Dorchester County, South Carolina. We are buying homes in any condition and in any situation. We want to help local homeowners and fix up the communities in the process. Send us some brief information about your home and we will make you a risk-free, no-obligation offer right away! The choice is 100% yours! You have nothing to lose, let us make you an offer now!